This slicer is designed as a single modular cartridge. That means you don’t have to assemble it or put it together. The blade of the Nemco 56750-1 has been seen set and tensioned in the factory. It’s ready to use and you don’t have to worry about adjusting it. This slicer is made to be versatile. It can cut everything from large tomatoes to celery, peppers, and other vegetables which might be needed to be sliced in your establishment. The design of the blade cartridge ensures maximum safety and reduces the chances of accidents when using the slicer. 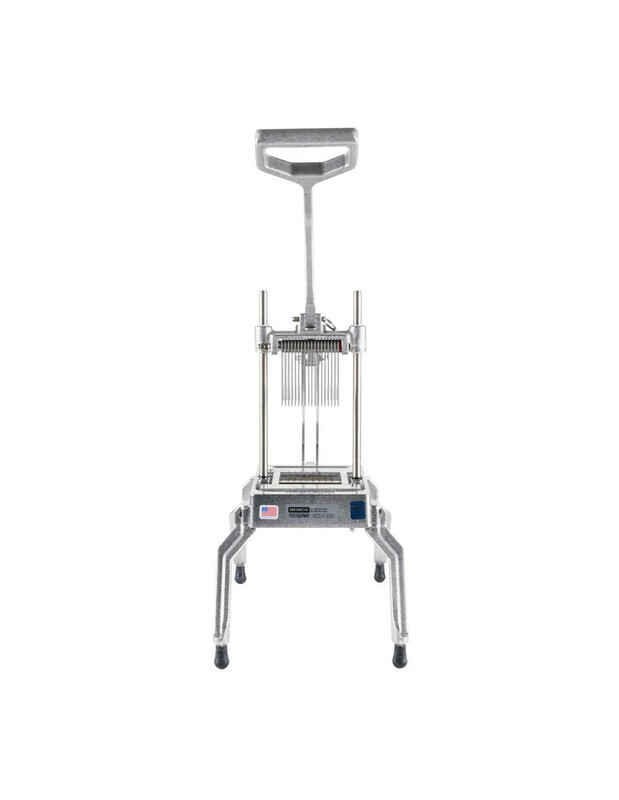 The Nemco 56750-1 provides effortless cutting as it uses the power of mechanical leverage to slice through foods. 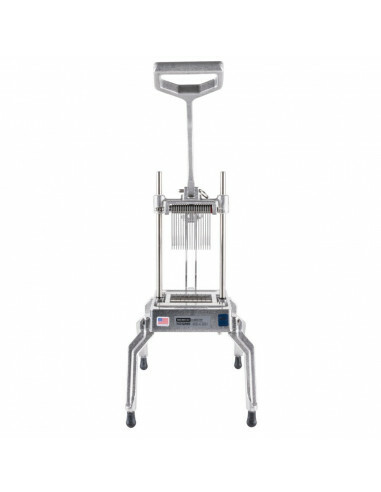 You don’t need to worry about the stability of the slicer as its legs are built to keep steady when being used. The legs are also designed so that you can place a pan right below the blades for convenience. The Nemco 56750-1 is very reliable. It can keep the right blade tension so that you will get uniform food slices. Its blades will also last longer because they always stay in proper alignment. Proper alignment is important because it ensures that the blades do not come in contact with the pusher block, which can cause the blades to go dull. Easy to use and easy to clean with almost zero maintenance requirements, the Nemco 56750-1 is an ideal tool for a busy establishment. With a simple push of a single pin, the entire blade assembly can be removed. If you want a tool that can save you some time in the kitchen, then the Nemco 56750-1 is for you. Nemco (Neidhardt Engineering and Manufacturing Company) was established in 1976 by Ed Neidhardt with help from his brother and father. Since its founding, the company has continued to come up with innovative solutions for foodservice equipment needs. Their products are preferred by establishments all over the world. The company’s goal is to always exceed the expectations of their customers by delivering high-quality products all the time.